Life is crazy, busy, chaotic, and more. Slow things down. Take a moment to reflect on the good things. Give someone a hug today! 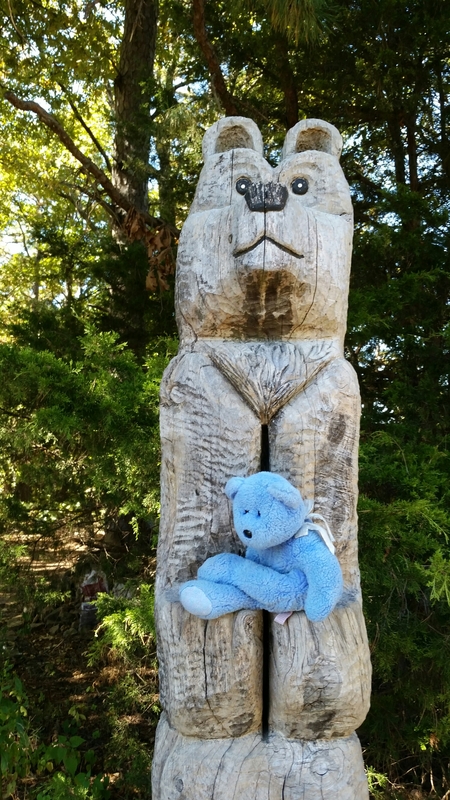 This entry was posted in Uncategorized and tagged Bear carving, Blue Bear, hugs by The Adventures of Blue Bear. Bookmark the permalink.